Marketing is one of the most important points of your website. It is very important that your website shows up on the first page of search results on search engines such as Google® and bing® . Studies show that the majority of internet users do not look past the first page of results after searching. They merely change their search if they don’t see what they are looking for. A well marketed site will usually show up on the first page of most search engines. In order for our clients to get as much as they can out of their site, we help them correctly market it. 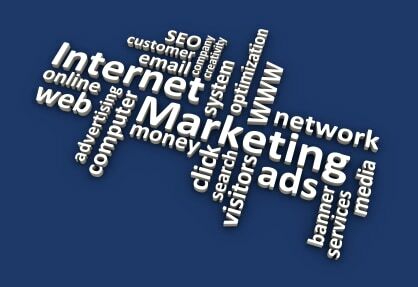 There are several different aspects of marketing a website. In order for the site to show up on a search engine, we employ Search Engine Optimization (SEO) using Meta keywords. When someone begins an internet search, the search engine searches for the keywords. By using Meta keywords, the search engine will detect that several of your tags match the search and will rank you higher on their search result listing. We also create an email address for our clients on their site that redirects to their current email account. This allows them to look like their company is much bigger than it really is and gives a professional image. We also link from the website to the company’s social media, such as Twitter® and Facebook®. If social media is desired yet not in place for your company, then we help create that for the client as well.